A disused former petrol station is to be transformed into a multi-disciplinary art and project space in White City. Designed by architects Liddicoat and Goldhill, Elephant West is a new venture from Elephant Magazine - an online and print art publication - and it is set to become a new hub for the West London arts community. 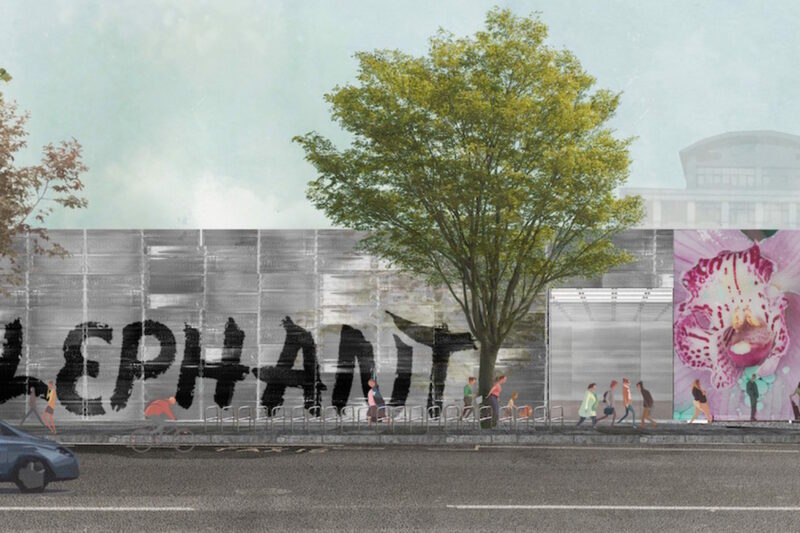 Elephant West will be an exciting addition to the White City area, which has seen a multi-million pound regeneration in recent years; The Royal College of Art opened a new campus in September 2017, located in the BBC media centre. The space will combine print, digital and physical publications, using all three outlets to create dynamic, cutting-edge content across the Elephant platforms. Live dance and music performances, film screenings, and talks and workshops related to Elephant Magazine are all part of the stimulating programme, which shall emphasis the idea of collaboration, a key part of Elephant Magazine’s ethos.